The moving floor is a low profile lightweight flexible slat conveyor for trailer and dock loading and unloading of mixed palletized loads and unpalletized loads. 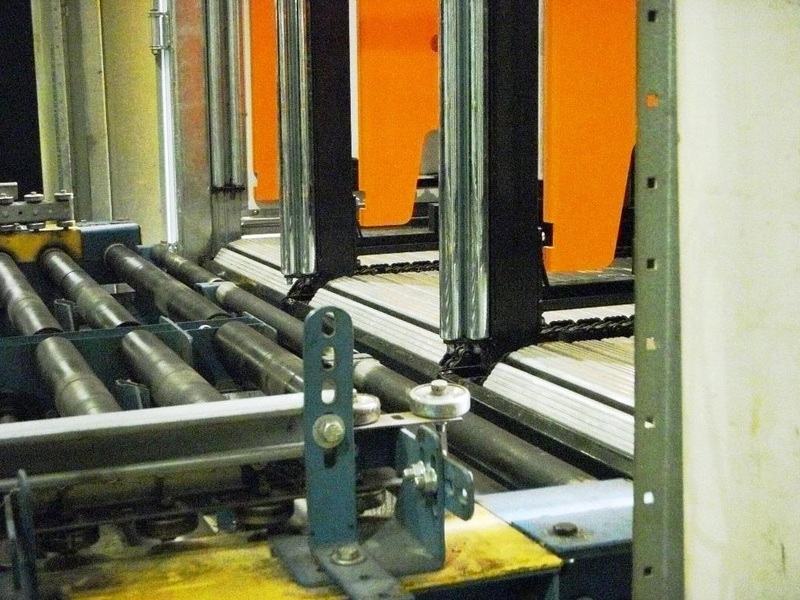 The moving floor system is designed for high speed, high weight, short shuttle operations. 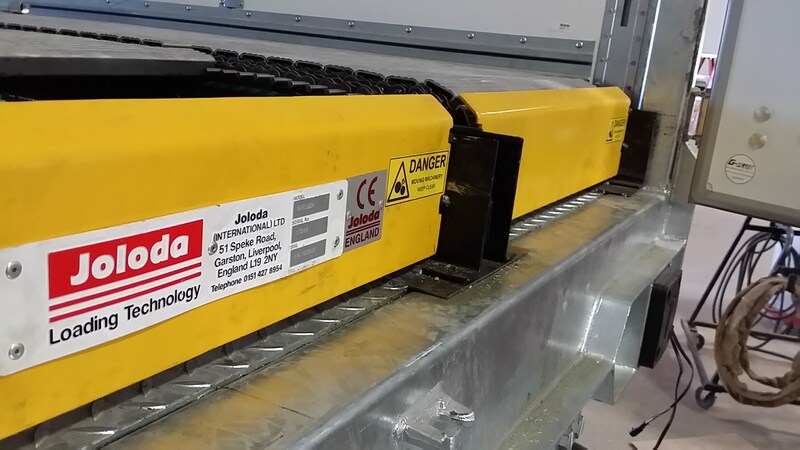 Loading a trailer in less than 1 minute using 3-phase main or 24v electric motor gearbox drives controlled by an invertor to give matched conveyor speeds, ramp up and ramp down control for speeds of up to 60ft. per minute and 30-ton loads. » Unmanned operation - only one man and a fork truck needed. » Loads and unloads at speeds of up to 60ft. per minute. » Dual power supply - switch between 3-phase mains and 24v-truck battery. 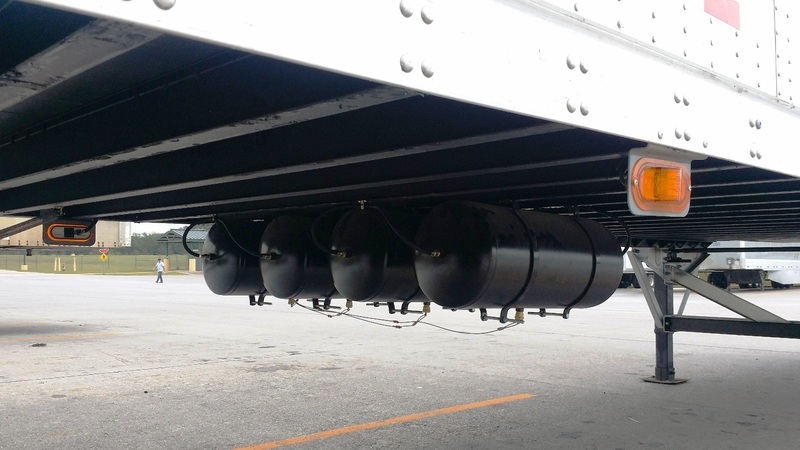 » Payloads up to 30 tons. 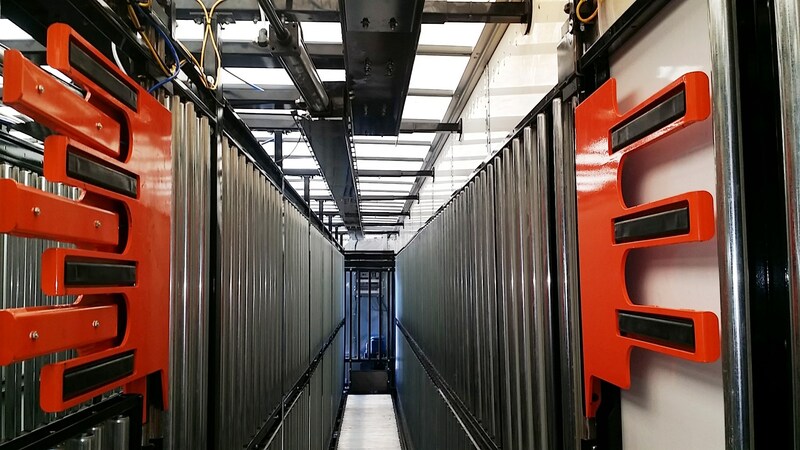 » Full utilization of payload and cube through low height and low weight moving floor design. 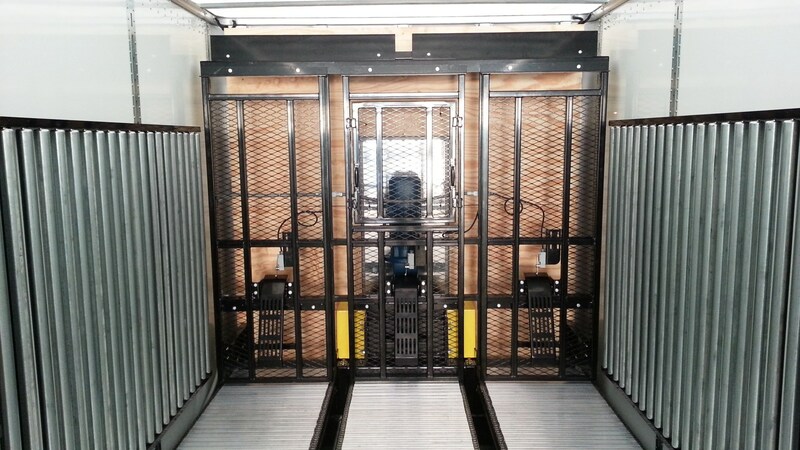 » A flat slat moving floor allows you to handle any pallets, racks, or loose parcels - total flexibility! » A fail safe manual back-up system is incorporated.